Idk if you've ever tried adaptive cruise, especially the latest adaptive cruise with stop and go, but I am fairly "old school" too and until I used adaptive cruise w/ stop and go, I thought it was a waste of a feature. Yeah, it's just as easy to tap the brake pedal and hit resume when the coast is clear, but I honestly it's a feature I which my 10 year old car had... tell you what though, the first time I used stop and go I was crapping my pants, yelling with a certain scared agony with an itchy right foot hovering above the brake pedal because in all my driving experience, I wasn't sure if the vehicle was gonna stop in time.....I've since gotten used to it, as I work at a Ford dealership and often drive models with stop and go adaptive cruise...it's almost second nature now. Also, OP, I realized I didn't respond, but good luck. This project is something I would do if I had the space, time, money, and whatever else necessary, but I'm just not in that position, at least for now, however, my focus (hah, pun intended) is on other things when that spare time/money comes around. Kinda looking forward to your end result. Last edited by viper_crazy; 12-03-2018 at 09:42 PM. I would like to ad adaptive cruise. But being as the Focus did not come with that option ever, i don't think there is a way to program the modules involved to make it work. 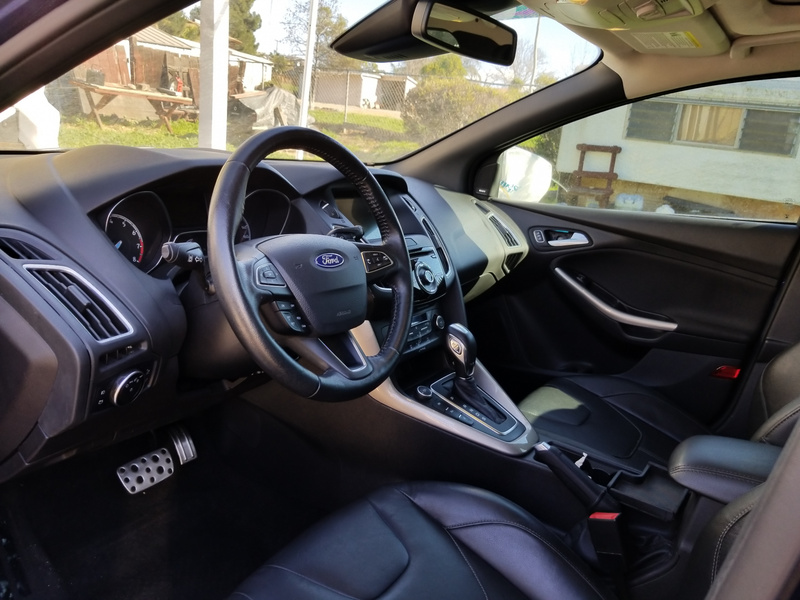 I was looking at a Fusion today that had it and i'm not certain if the windshield camera for the lane departure warning and auto high beams is used or if there is a sensor/radar in behind the grille. 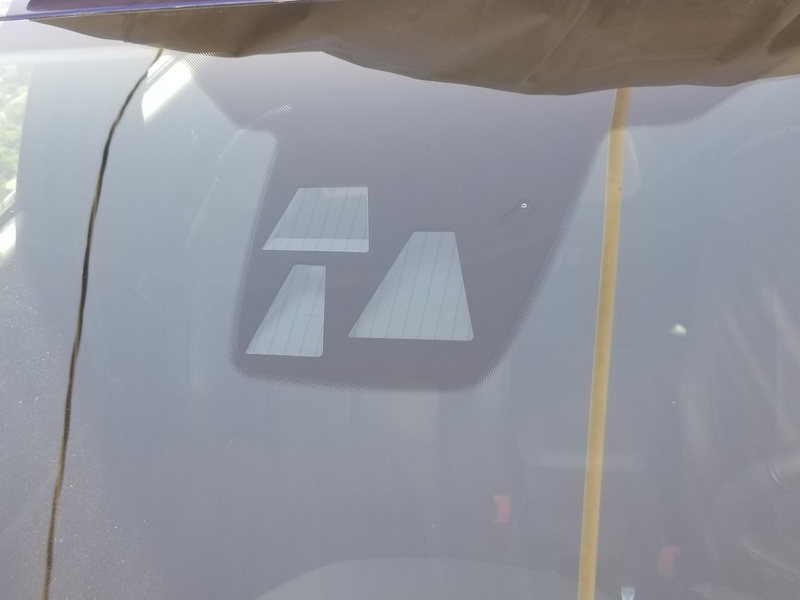 I was looking in the grille and front of the Fusion today to see if i can see a camera or a sensor and didn't see anything. I would have to read up in an electrical manual for that car to see what's involved in making that work. Last edited by Arco-Zakus; 01-13-2019 at 06:14 PM. This project is insane, but I admire that. You certainly learned all about your car in the process. Last edited by Arco-Zakus; 01-13-2019 at 06:17 PM. Thanks Arco. Yeah, it is coming along pretty good. Since i got the car back from the paint shop, i have just about installed all the 2016 stuff in the car. 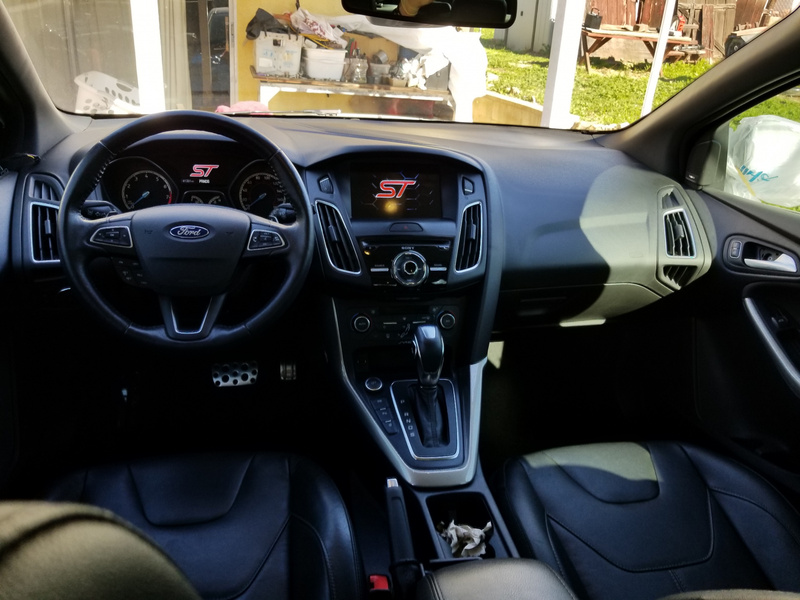 As of today, i just have to install the dash, console and the front seats and it is all done. For the exception of the front and rear bumpers, rocker panels and hood. It goes back to the body shop once i am done so he can install the bumpers and hood. So far all my electronics work like they should. I open the doors and the lights come on, the blue interior lights on the cluster and other switches i have hooked up light up. Also all my outside lights come on when i open the doors. Even the light up key pad on the drivers pillar lights up. :-D So some time this week i will have my key guy come out to my house so he can program my keys to start the car. That will be a great feeling to hear the car start up once again. I will take some pics in the next couple of days of the car and post them up. Hey guys. Well i have an update for you guys on my 2014 to 2015+ conversion. Well it's been about 6 months since i started this project. As to date i have finished the conversion. :-D All that needs to be done at this point is get the car started and then drive it to the body shop to have the front bumper, hood, rocker moldings, RS spoiler and the rear bumper. The inside is all complete. See pics. So all electrics work great. When i open the drivers door, my DRL's and rear park lights come on, all my instrument lights as well as the ambient lights come on, the screen shows the ST logo and mileage shows on the cluster. When i close the door, all goes off. I can lock the car via the outside hidden keypad by pressing both 9 and 0 at the same time and then when i punch in the code, it unlocks all the doors. :-) Something my 2014 didn't have. So the car is now at the auto electric place getting the key fobs programmed to the PATS system to work the alarm and start the car. Once the guy gets that finished, then he will upload all as-built data into the modules that work everything and all will be done with the electronics of the car. Then the rest of the body parts get put on and wala.......I have a MK3.5. I will show more pics as it gets finished and give you an update later on in the month. Good job! Looks pretty clean. Although a small part of me still doesn't believe this and thinks you maybe just pulling our leg.